Retirement can be the most exciting time of your life! 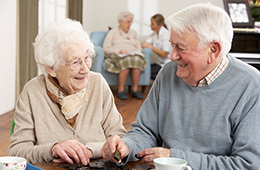 Our Residential Retirement communities offer a variety of activities and accommodations to suit your lifestyle. Click on the community name you are interested in. Retirement is your time . . . make the most of it!